Can't decide between these two entry-level controllers? Find out which one is right for you in this Head To Head feature. 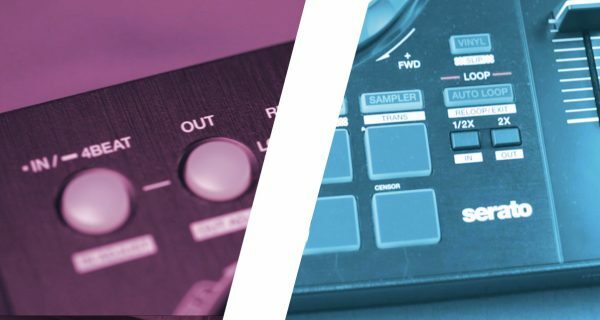 In today’s Head To Head we compare two of Pioneer DJ’s latest beginner-focused controllers: the DDJ-400 which was just released a month ago, and the DDJ-SB3 which has the Pad Scratch button (aka the “Jazzy Jeff button”). Both are fresh units for 2018, but they’ve got big differences between them which we’ll tackle in this piece. Check out the video below and then keep scrolling for our detailed comparison. 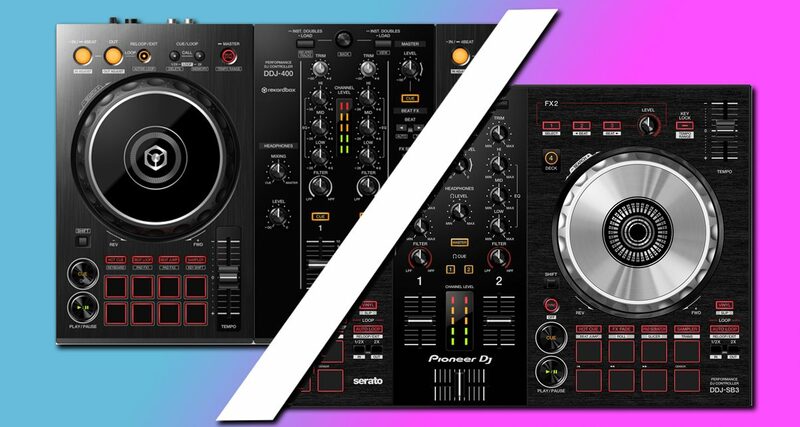 The DDJ-400 and DDJ-SB3 have a similar overall size and weight. 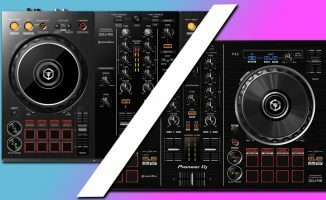 Both are Pioneer DJ’s most compact devices in its DDJ range of controllers, and while their general build is similar, the main differences lay in the controls and how they are laid out on both devices. 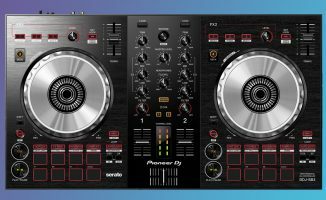 The DDJ-SB3 is representative of Pioneer DJ’s more traditional control layout: it’s got an FX section at the top of each of the two decks, plus looping controls beside the performance pads. The DDJ-SB3 also has the infamous Pad Scratch button (more on that later). 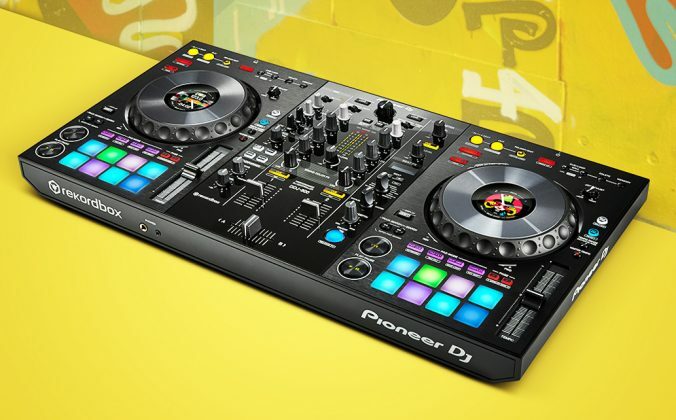 The DDJ-400, on the other hand, is a sign of things to come for Pioneer DJ. 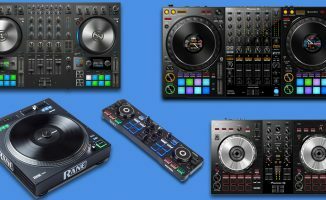 The company seems to want to make the DJing experience on its club standard gear consistent with its DDJ controller line, and this started with the introduction of the DDJ-1000 earlier this year that had a deck layout and Beat FX similar to what you’d find on a CDJ/DJM set-up. The DDJ-400 echoes this sentiment, albeit in a more pared down fashion fitting for an entry-level device. Out of the box, the DDJ-SB3 works with Serato DJ and the DDJ-400 works with Rekordbox DJ. The DDJ-SB3 is also compatible with Virtual DJ 8, while compatibility with the DDJ-400 is forthcoming. 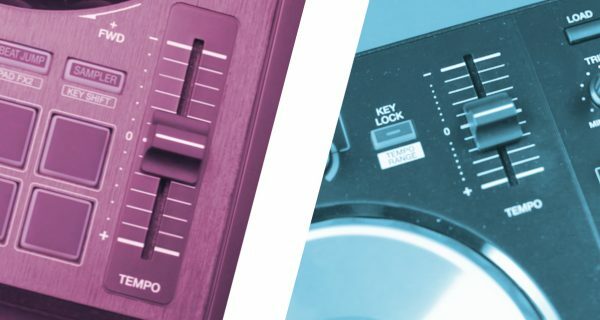 The DDJ-400 has longer pitch faders for more accurate manual tempo matching, while the DDJ-SB3 has slightly larger performance pads compared to the DDJ-400. Loop controls on the DDJ-SB3 are similar to older DDJ-SB controllers: They consist of an Auto Loop button that toggles a loop on or off, plus you’ve got loop length half and double buttons. 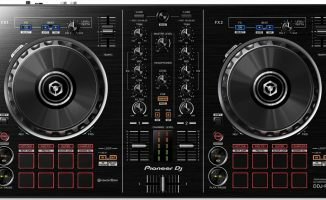 Pioneer DJ DDJ controllers have used this system for years, and can be found from the cheapest of models to flagship units like the DDJ-RZX. The DDJ-400 does away with this looping system in favour of looping controls that are similar to what you’d find on a CDJ or XDJ media player. You now get Loop In, Loop Out and Reloop buttons, plus Cue/Loop Call buttons that do double duty as loop length buttons. 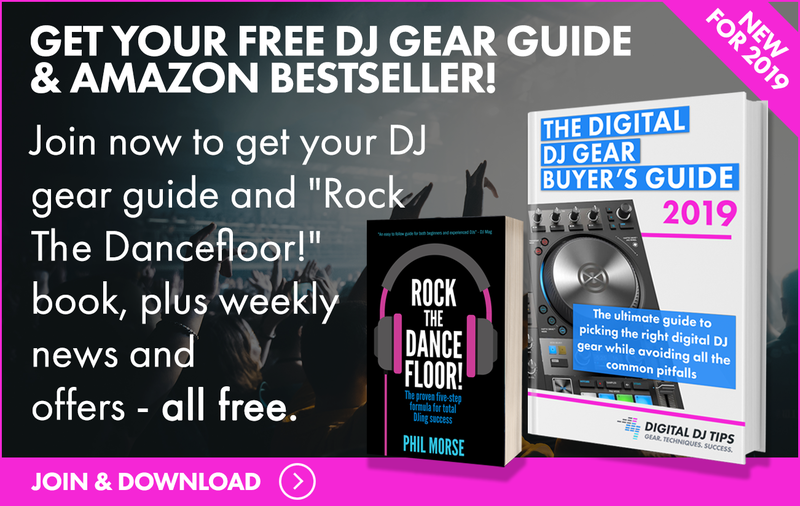 This makes it less confusing to use looping controls on a CDJ or XDJ media player when you’re coming from a DJ controller which takes some getting used to. The DDJ-SB3 packs Deck Select buttons for Deck 3 and Deck 4, something that it has carried over from its predecessor the DDJ-SB2. 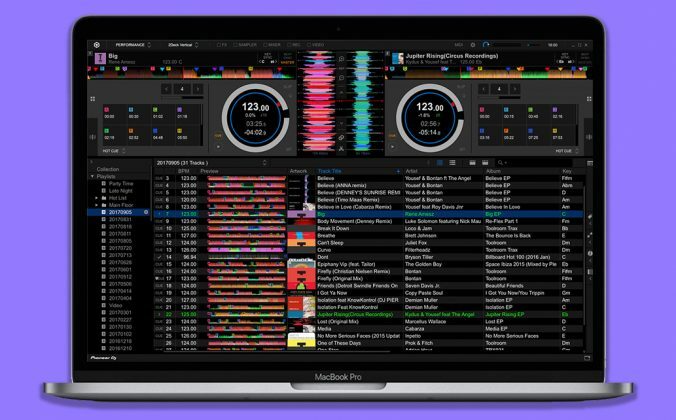 This lets beginner DJs dabble in four-deck mixing using Serato DJ Pro, albeit with some limited mixer control since there are only two channels onboard. The DDJ-400 eschews the Deck Select buttons making it strictly a two-channel, two-deck affair. 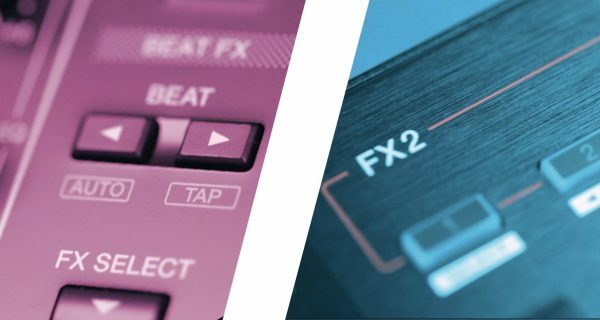 The DDJ-SB3 has FX controls similar to what you’d find on past DDJ-SB controllers: Three buttons at the top for toggling FX or FX paramters on or off, plus a knob for dialling in the amount of FX being applied. Each deck has an FX section at the top, allowing you to control them independently of either deck’s FX. The DDJ-400 does away with the individual FX sections and instead distils all FX control into a Beat FX strip that sits beside the mixer at the centre of the unit. 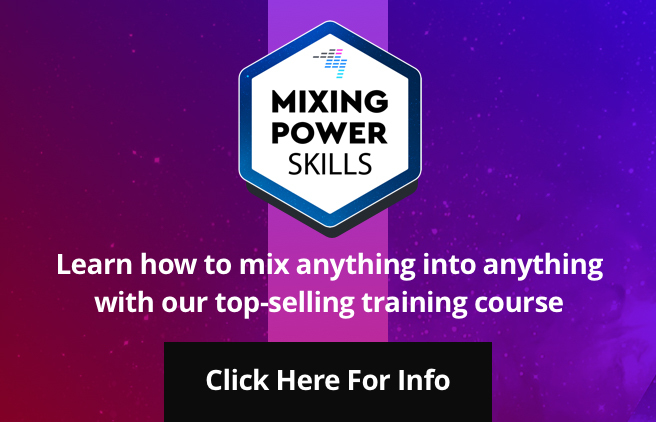 This is consistent with the Beat FX that you’d find on a Pioneer DJ DJM mixer such as the DJM-900NXS2, DJM-450, DJM-750MK2 and so on. 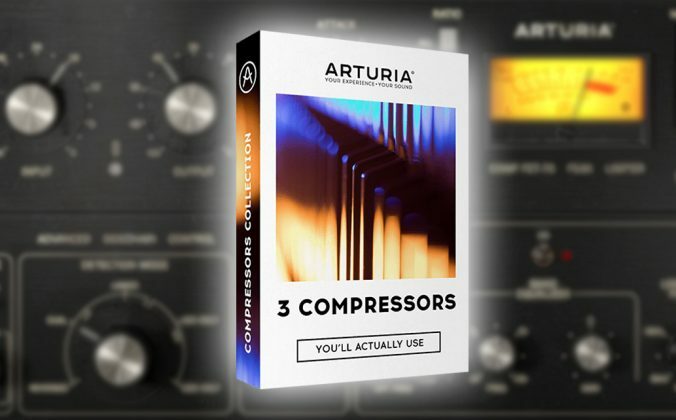 This allows beginner DJs to get used to tweaking with Beat FX at home so it isn’t confusing when getting behind a CDJ/DJM set-up, which admittedly isn’t as intuitive as using the individual FX sections of past DDJ controllers. The DDJ-SB3 has tons of contemporary performance pad features: Hot Cues, FX Fade, Sampler, Beat Jump, Roll, Slicer, Trans and Pad Scratch. The latter function is the main draw of the DDJ-SB3, allowing you to perform scratches that have been pre-programmed by Serato and Jazzy Jeff. They’re built into the unit, and you’ve got eight total scratches to choose starting from simple baby scratches to more advanced tricks. Of course, you can string these scratches together by pressing the pads one after another, and you can blend them with your own jogwheel scratches too (check out how Pad Scratch sounds compared to manual scratching below). 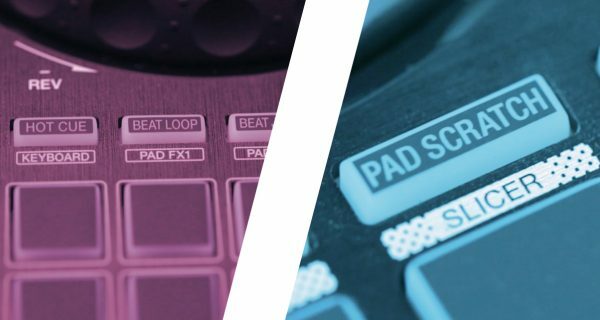 The DDJ-400 doesn’t have the Pad Scratch feature, but it’s still stacked with performance pad functions: Hot Cue, Beat Jump, Beat Loop, Sampler, Keyboard, Pad FX1, Pad FX2, and Key Shift. Keyboard and Key Shift modes are new performance features found in Rekordbox DJ 5.0. If you want to learn how to scratch and you’d like to use Serato DJ, go for the DDJ-SB3. It’s the best DDJ-SB controller that Pioneer DJ has made thus far. If you’d like something that will prepare you for the club and you’d like to spin with Rekordbox DJ, go with the DDJ-400. 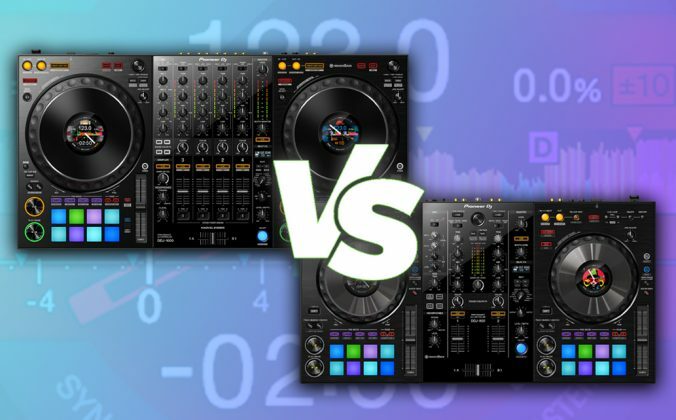 Both are fantastic entry-level DJ controllers at beginner-friendly prices, and ultimately your decision will hinge on whether you’d like to spin with Serato DJ or Rekordbox DJ. You do lose the Pad Scratch feature if you go with the DDJ-400, but you can scratch on both devices using the jogwheels anyway. 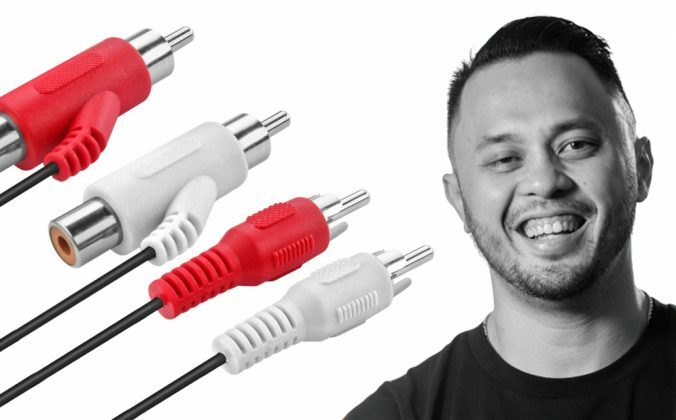 Which of these two would you prefer to have in your DJ set-up? Why? Let us know in the comments.